Facebook is by and large the biggest social networking site in existence. While some say it is quickly reaching its prime, Facebook is certainly not going anywhere any time soon. 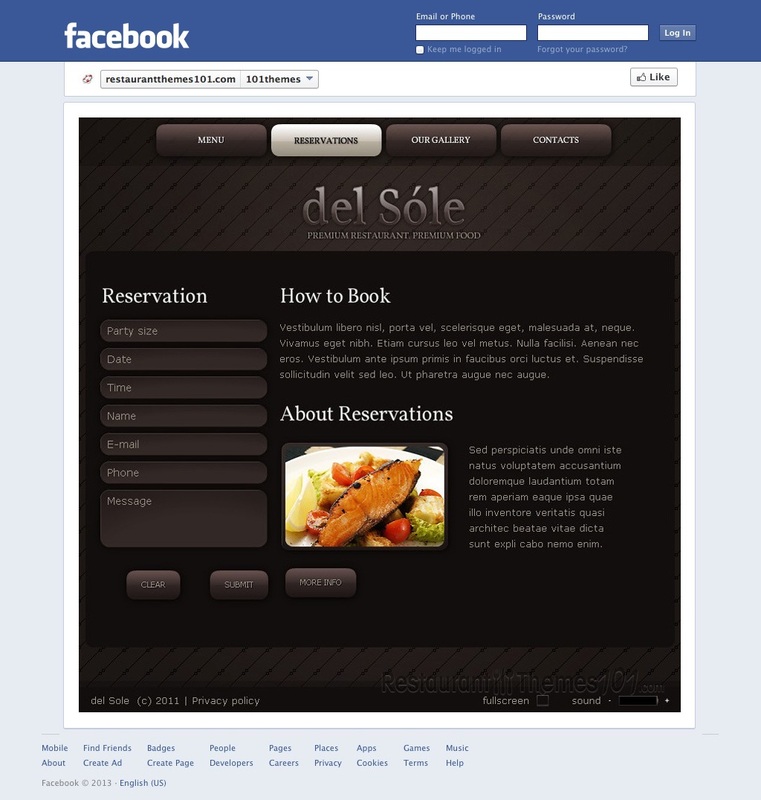 Facebook is one of the most-visited websites in the world, making it an absolutely massive source of potential traffic. 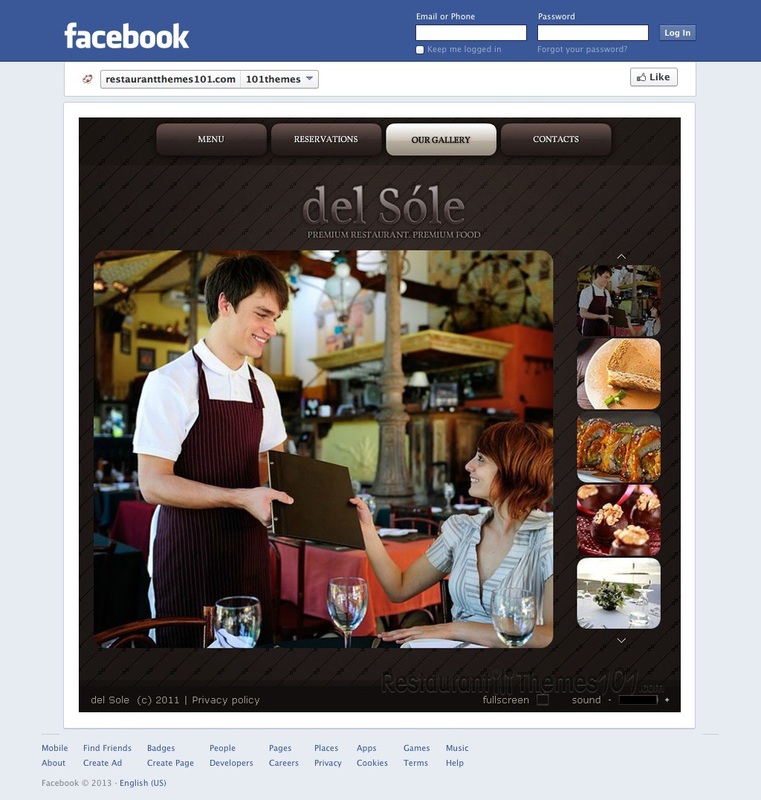 If your business does not yet have a presence on Facebook, now is the time to create one! 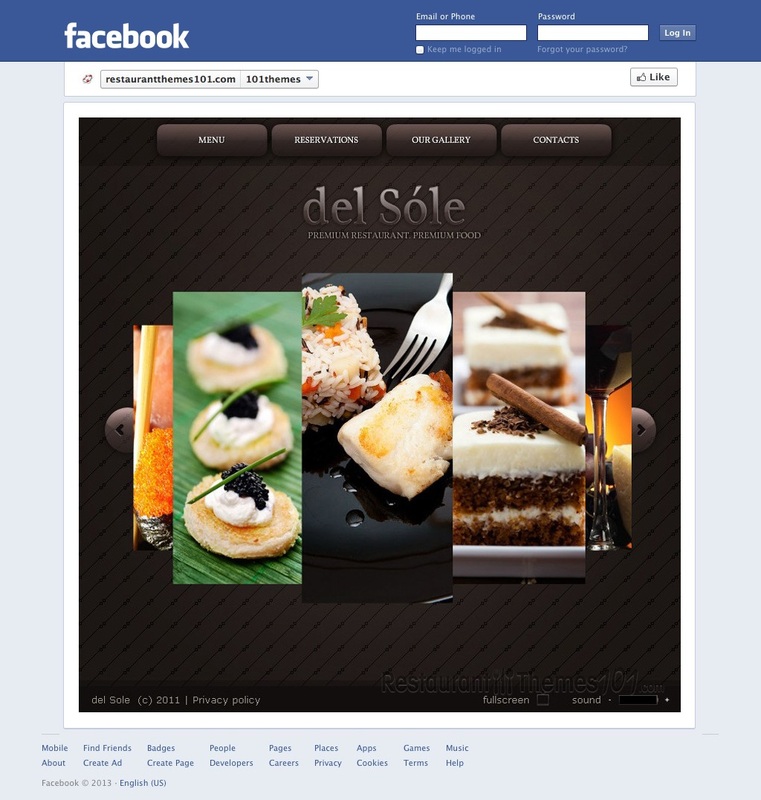 Thankfully, templates like Del Sole make creating professional Facebook pages a breeze. 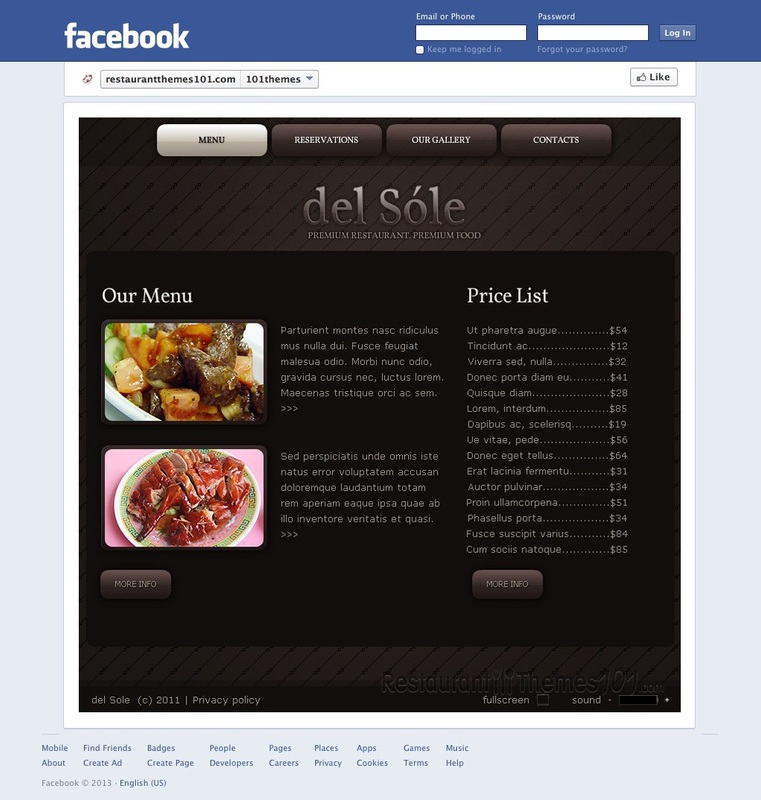 Del Sole is a sleek, stylish Facebook restaurant page template available for purchase via Template Monster and developed by Astra. It is a simplistic, picture-based template that is sure to please. It uses a large image slider, with the images aligned vertically instead of horizontally, which really makes it stick out from the competition. The image slider also focuses in on the pictures and changes the color tone whenever a reader hovers their mouse over the image – a feature that is sure to catch some eyes! The menu buttons towards the top of the page are also interactive, and will “jump” and make sounds whenever a mouse is hovered over them. These types of features might seem simple to an experienced web designer, but it’s simple things like this that make readers remember your page over competing pages. 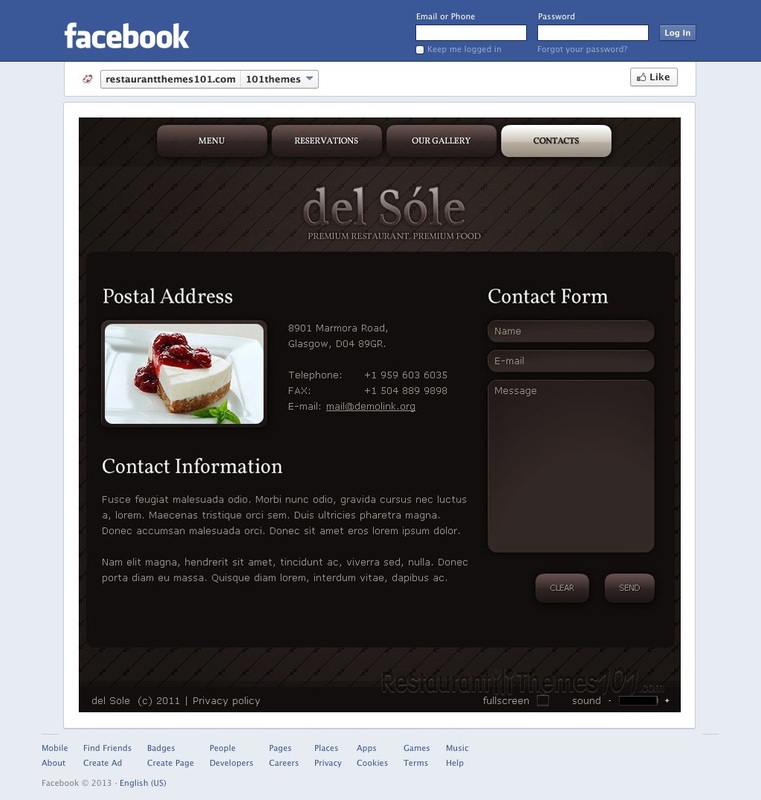 Del Sole, just like most Facebook templates on Template Monster, is powered by Moto CMS. Moto CMS is a content management system that simplifies the entire process of building a website or a Facebook page. This system features a simple control panel that makes updating and building websites a breeze, even for people with little or no web development experience. This theme and CMS can save you literally hundreds of hours of time that you would have spent making your Facebook page from scratch. Even if you have experience developing websites, it will still be worth it to purchase this template just for the amount of time it can save you.